Birmingham | Clarksville Sports Network - Clarksville Tennessee's most trusted source for sports, including Austin Peay State University. BIRMINGHAM, Alabama—As final tune-ups go, this was a great one for the Governors. 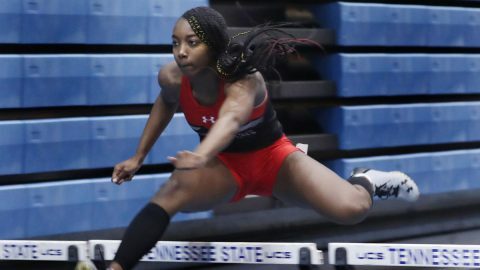 Austin Peay State University track and field got 14 personal-bests and some movement up the league-leaderboard at the 2019 Samford Open, concluding regular-season indoor action with a bevy of solid performances that head coach Doug Molnar hopes will portend to good things two weeks from now at the 2019 Ohio Valley Conference Indoor Championships. 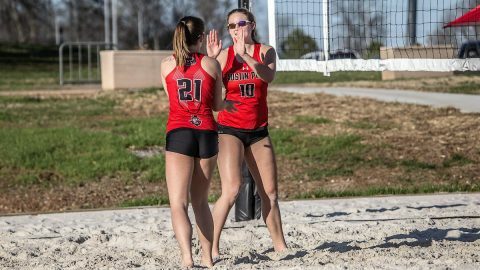 Birmingham, Ala — Austin Peay State University beach volleyball put up a strong fight against Central Arkansas and Mercer to close out Blazer Beach Duals, Saturday. Birmingham, Ala – The Southeastern Conference has awarded the 2016 SEC Women’s Basketball Tournament to Jacksonville, Florida, and the Jacksonville Sports Council, Commissioner Mike Slive announced Wednesday. Birmingham, Ala – Tennessee’s Meighan Simmons and Isabelle Harrison were named to the All-Southeastern Conference First Team, and Andraya Carter was selected for the All-Freshman Team by the league’s coaches, conference officials announced on Tuesday. Simmons earned All-SEC acclaim for the third time in her career, including first-team status for the second year in a row. Harrison and Carter, meanwhile, picked up their first league honors as Lady Vols. Birmingham, Ala – Vanderbilt jumped out to a 24-0 halftime lead and then had to fight back for the win after Houston knotted the game in the third quarter before the Commodores scored the game’s final 17 points to claim a 41-24 victory in the BBVA Compass Bowl Saturday at Legion Field. Vanderbilt improved to 9-4 on the season and won its ninth game for the second year in a row – a first in school history. The Commodores only have four nine-win seasons of all-time and two have occurred in the last two years. Houston ends its season 8-5. Nashville, TN – Vanderbilt will close their non-conference portion of the 2013-14 season this Saturday evening at Memorial Gym when the Commodores take on Northeastern, a member of the Colonial Athletic Association. The game will tip off at 8:00pm, with the radio call coming on the Vanderbilt IMG College Radio Network in middle Tennessee and online at vucommodores.com. There will be no television for the game, but a live stream will be available at vucommodores.com as a part of the website’s All-Access package. Nashville, TN – Vanderbilt Athletics has sold through the initial allotment of 10,000 tickets to the BBVA Compass Bowl and will be working with bowl officials to secure additional seating in the Commodore ticket block, athletics officials announced Friday afternoon. Fans will still be able to purchase tickets through the Vanderbilt Ticket Office to secure their seats for the Jan 4th bowl in Birmingham pitting the 8-4 Commodores and 8-4 Houston Cougars. Birmingham, Ala – Samford shot 65.4 percent in the second half, including a 28-7 half-opening blitz, as Austin Peay State University fell to the Bulldogs, 85-63, Saturday afternoon in non-conference basketball action played at Pete Hanna Center. Birmingham, Ala. – The Southeastern Conference unveiled its 10th annual men’s basketball coaches preseason All-SEC first and second teams Friday, and three Volunteers were among those honored. Tennessee was the only school to place multiple players on the first team, as senior guard Jordan McRae and junior forward Jarnell Stokes were both tabbed for the eight-man squad. Senior forward Jeronne Maymon earned second-team status.